Wondering how to transfer files [videos | music | movies | photos | ebooks] from PC to your iPhone or iPad, or copy these files from your iPhone back to your computer? Generally, iTunes is regarded as the classic tool to manage and transfer the content of your iPhone or iPad. However, iTunes maybe not the best choice for Windows users because of its complexity, bloatware, and numerous limitations. In this article, we will introduce you to an easier and more flexible way of transferring media files between iPhone or iPad and computer. WinX MediaTrans has been just updated to be the only stand-alone iPhone manager & file transfer software which can provide the most flexibility to control iOS content without iTunes and its components. 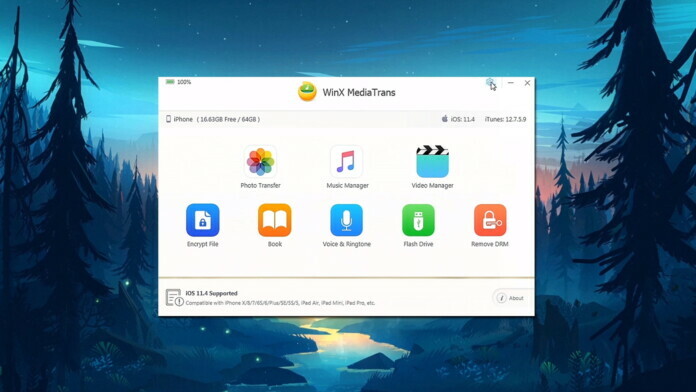 With its simple user-interface and operating steps, WinX MediaTrans is considered as the most effective iTunes replacement to move and transfer iPhone files from/to PC. What’s WinX MediaTrans and What Makes it Different from iTunes? 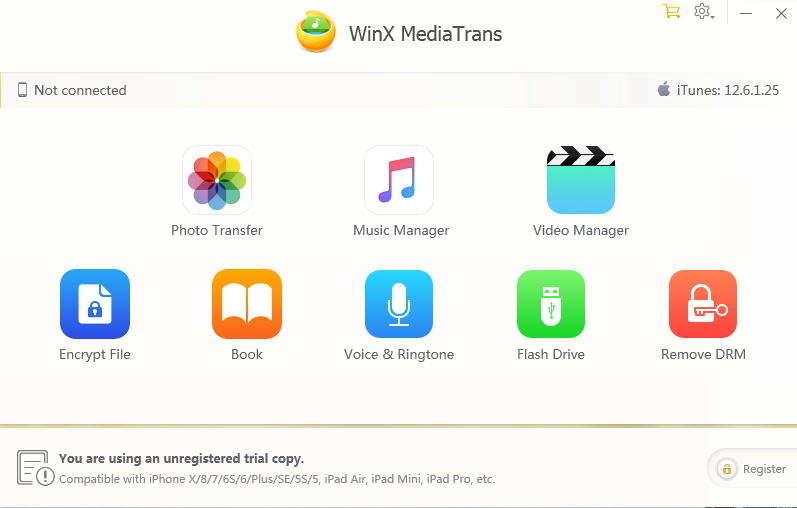 WinX MediaTrans is a Windows-based iPhone and iPad file managing and transferring software. No matter your target files are photos, 4K/HEVC videos, music, eBooks or other file types, it can help you transfer files from iPhone to PC or vice versa. Let’s see what makes WinX MediaTrans different from iTunes. There are many advantages that you can take from WinX MediaTrans. You can click to learn more about iTunes vs WinX MediaTrans by using the provided link. We’re going to go over some of the most prominent options/capabilities. It supports a two-way transfer of selected files from iPhone to PC or vice versa. No data erased! Auto-converts videos/music/eBooks to iDevice when transferring, if the file formats are not iOS-supported. Moves even non-iTunes music to your iPhone for smooth playback! Loads and copies iPhone files at ultra-fast speed with hardware acceleration tech. Password protects your photo and videos on your computer or which are transferred from your iDevice. Also enables you to copy Excel, PDF, word, etc from PC to iPhone. Turn your iDevice into a secret USB drive. Auto-rotate videos to fit iPhone iPad for full-screen playback. Reduces big video file size to 50% without quality loss on iPhone iPad. How to Transfer Files from iPhone to PC or PC to iPhone with iTunes? For the next few days, everyone can get a free licensed copy of WinX MediaTrans from Digiarty’s Back-to-School giveaway campaign. Here, we will take transferring photos from iPhone to PC as an example. Step 1: Run this program and connect your iPhone and PC with USB cable. Then, click ‘Photo Transfer’ to enter the sub-interface. WinX MediaTrans will speedily load all the photos, images or pictures in your device. Step 2: Select the target pictures that you want to transfer to PC. 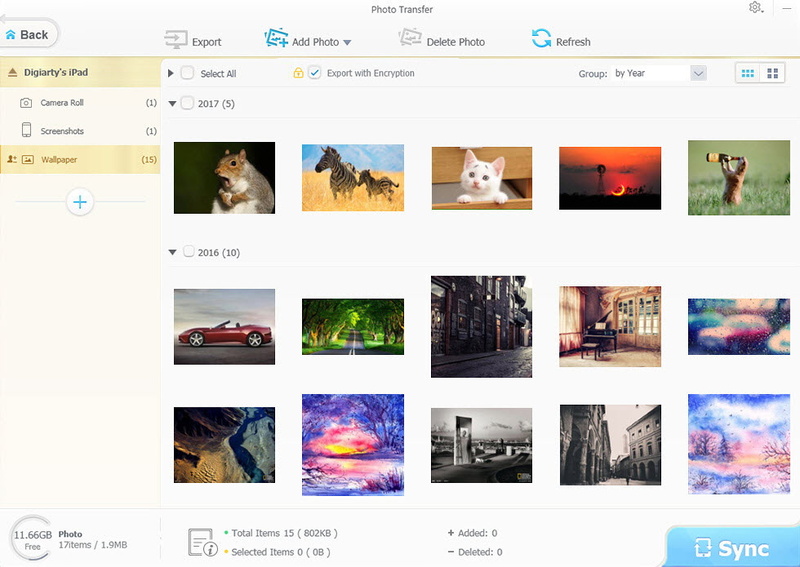 You can click ‘Select All’ to copy all photos, or group by year, month, day, etc and to move these images. More importantly, hit ‘Export with Encryption’, so you can password protect transferred photos on your computer. Step 3: Hit ‘Export’ button to transfer all the files now. If you want to transfer images from your PC to your iPhone, you can click ‘Add photo’, choose your target images, and then click ‘Sync’ in the final step. In case you’re interested in trying out this application, don’t forget that you can grab a full license today. So, make sure not to miss this amazing opportunity!